Towering over the pans of the Auob wetlands is the Suricate Tented Lodge which has been built on top of a majestic red dune. The tents which combine the ultimate African safari experience with the comforts and luxuries of modern day living leave a lasting impression on all our guests. 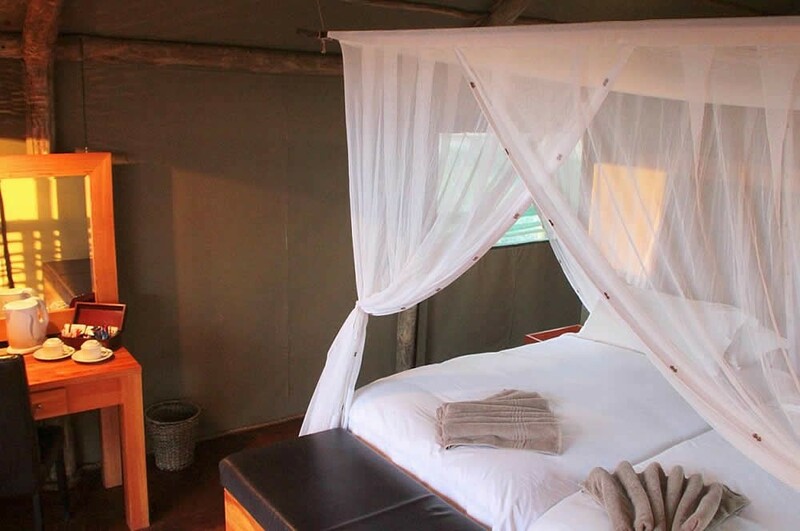 There are 12 tents complete with mini bars, safes, mosquito nets and all the amenities available at the other lodges with the added benefit of an open-air en-suite bathroom and a deck. One of the tents is a honey-moon suite, which is appropriately distanced from the other tents and has its own plunge pool for the convenience of the romantic couple. The main lodge area is also intriguing as it boasts a large deck that overlooks the entire shimmering pan and the warbling waters of the infinity pool release any tension. Guests can choose to have their meals in the communal dining room which also has a built in fire place and bean bags for guests to relax on or to enjoy their meal on the deck surveying the pans. At night guests enjoy the starry skies with drinks by the fire pit with the friendly staff at your beck and call, ready and willing to assist you with planning your day or with facilitating any activities guests may want to enjoy. 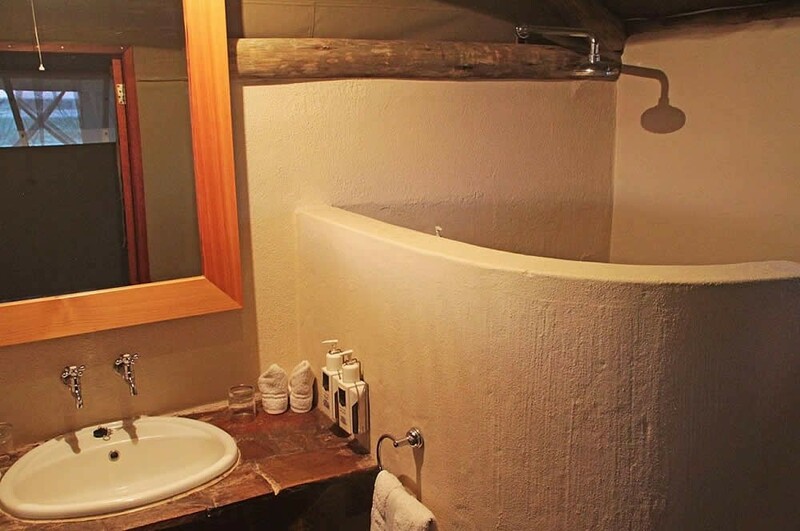 This lodge is designed to induce pure respite from the tensions of modern day life and many guests spend hours watching the variety of animals make their way through the pan during the day. 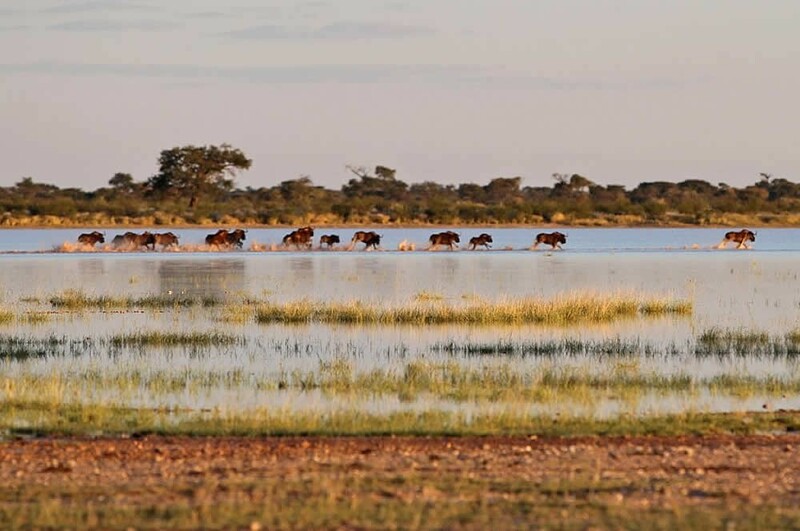 The landscape is breath-taking and during the rainy season (January-March), the most incredible sight to behold, is the various animals making paths through the muddy pans which fill up. 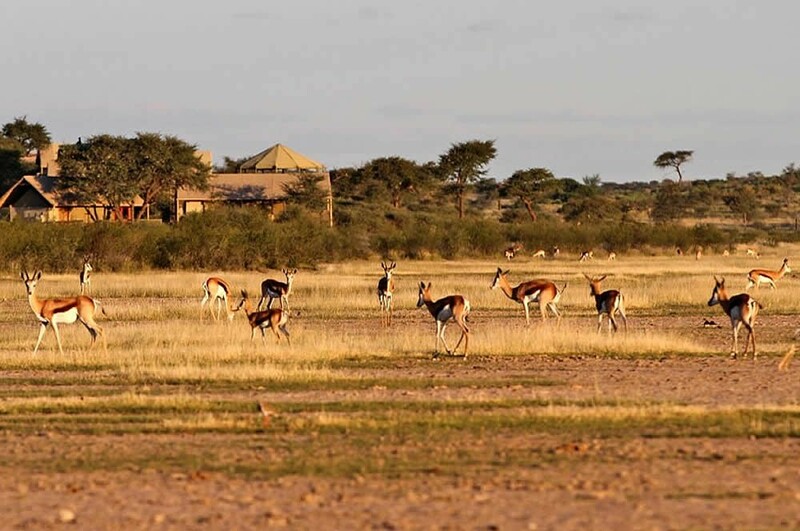 Guests at Suricate Kalahari Tented Lodge are encouraged to spend more than one night at the lodge because of the variety of activities with which guests can occupy and enthral themselves with. 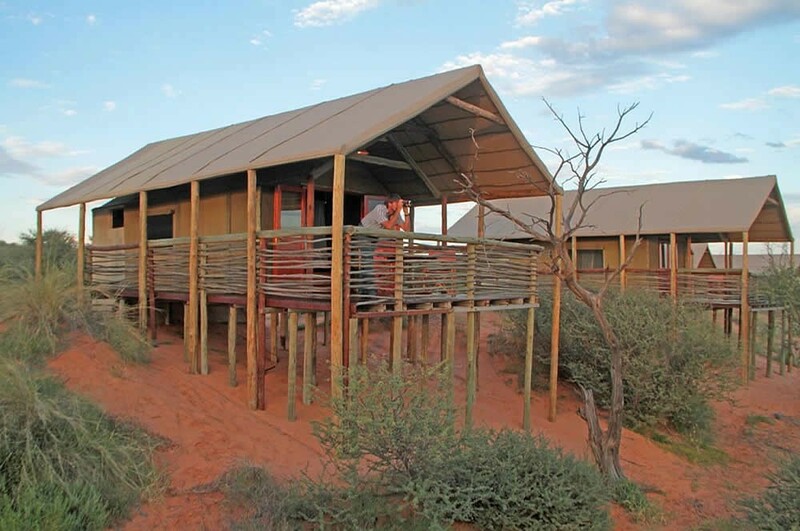 Guests can explore the neighbouring lodges and choose to have dinner at one of the other lodges or to spoil themselves with the ever popular dune dinner. 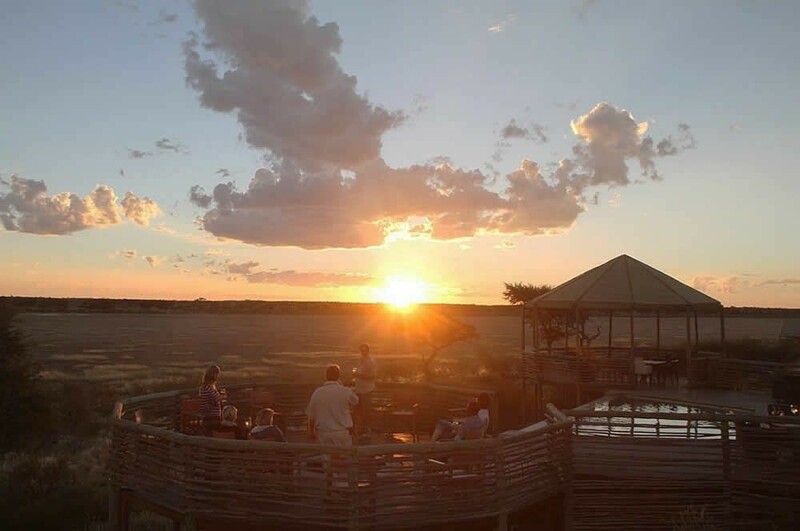 All the activities on offer at the Game Reserve can be enjoyed and the friendly staff efficiently facilitate the client’s desires. So whether it’s a game sunset game drive on an open-air 4×4 vehicle or on a quad bike, or a walk with the Bushman (San) or simply a massage, simply ask, it shall be done. The gate to Suricate Kalahari Tented Lodge is on the right. 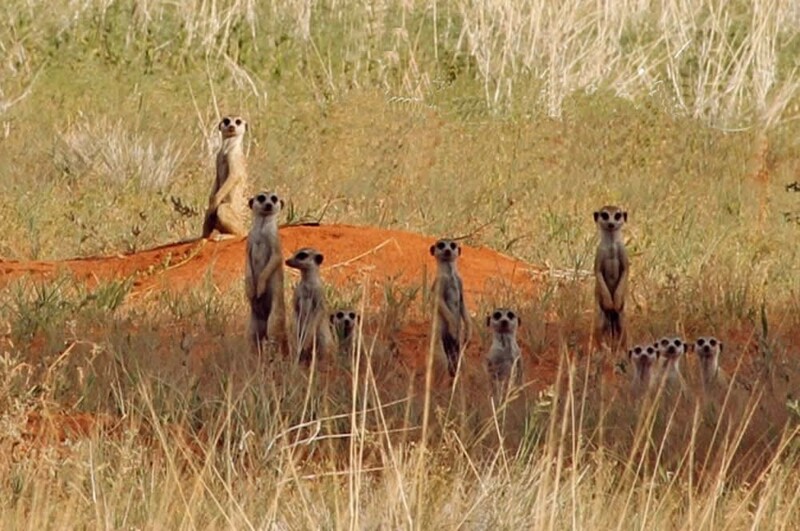 The gate to Suricate Kalahari Tented Lodge is on the left.